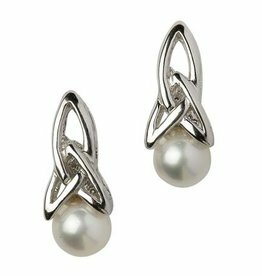 Look for matching stud earring. 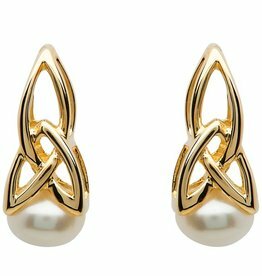 The Celtic Trinity love knot Ring has been finished with a beautiful Cultured Pearl all in Sterling Silver. 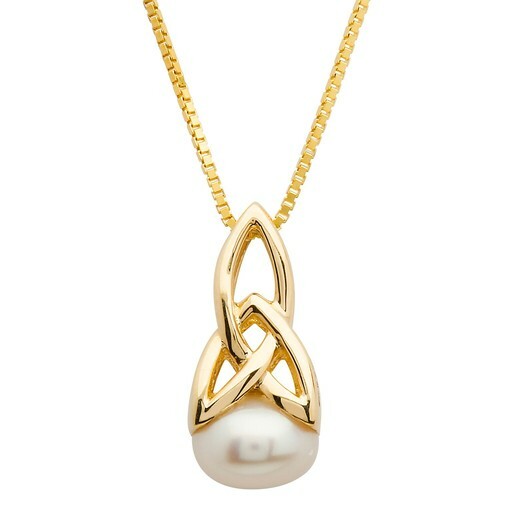 Each hand-crafted design has been Hallmarked in the Dublin Assay Office. 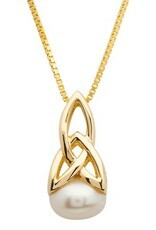 Has a matching Pendant & Earrings. Gift Boxed & Made in Ireland. 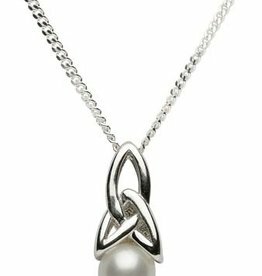 The Celtic Trinity love knot Pendant has been finished with a beautiful Cultured Pearl all in Sterling Silver.Each hand-crafted design has been Hallmarked in the Dublin Assay Office. Has a matching Ring & Earrings. Gift Boxed & Made in Ireland. 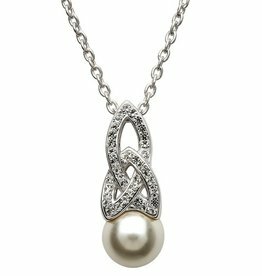 This exquisite pendant features aTrinity Knot in White Crystals clutching a beautiful pearl.